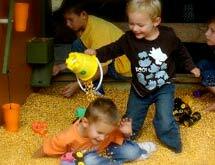 There is lots of fun to be had at the Harvest Moon Acres Fun Barn! 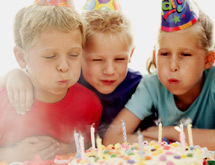 Bring your family or group for an outing or to celebrate a special party! The kids will not want to leave the Interactive Farmers' Market! Pretend is the name of the game here. Imagine that you are shopping at a real Farmers' Market. 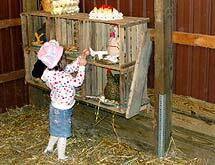 Gather pretend eggs at our hen house. Dress up in farmer's clothes. Dig, scoop and play! 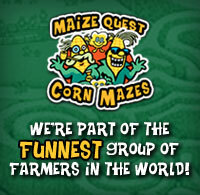 Kids can play to their heart's content in the corn at Harvest Moon Acres!